What Song Did The Curiosity Rover Sing On Mars? Generations of comic book fans have only known the Incredible Hulk as a singular color: an intense shade of green that matches the Hulk’s intense strength. 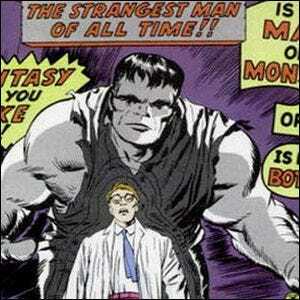 The Hulk, however, was never intended to be green and only became his current verdant shade due to technical issues. Hulk creators Stan Lee and Jack Kirby originally drafted the Hulk in a pasty gray color, but issues with the printing press technology of the day led to the Hulk coming out green more often than not. Rather than fight the press over an issue that proved to be not so important, they simply changed his color–after the first few issues, the Hulk became officially, instead of accidentally, green.